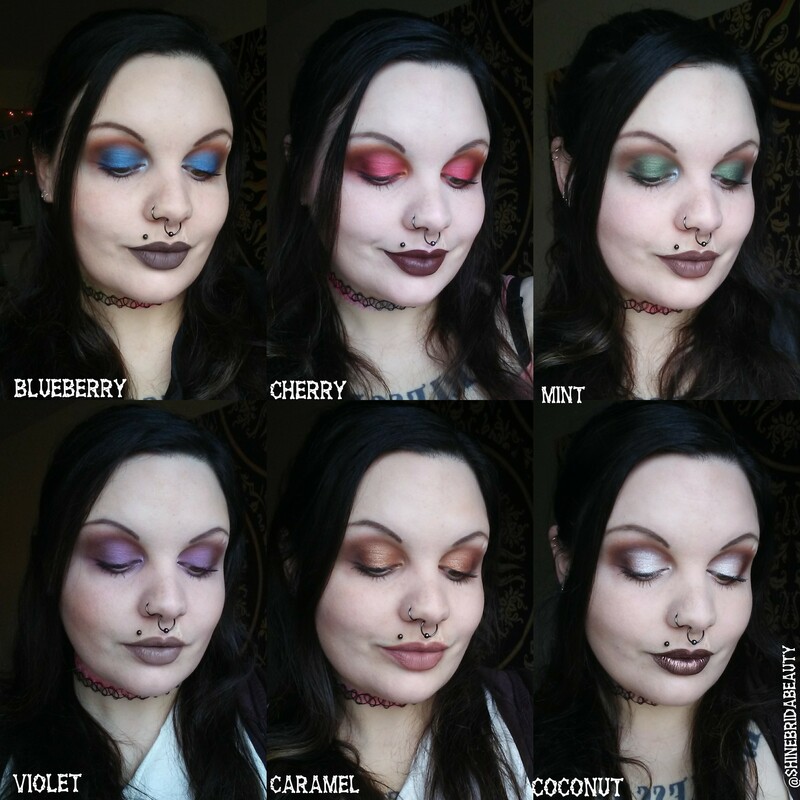 I was recently tagged on Instagram by @shinebridabeauty to say she had come across the Chocolate Series on my site and was re-creating the looks for her page. It is great to see that readers find inspiration from the looks on the site! It’s really interesting to see how the Chocolate Series combinations look on someone else. I love how each of her combinations turned out! Brida features all sorts of amazing make-up looks and eyeshadow combinations on her Instagram page. Her Instagram page features a mix of ‘6 look 1 palette’ looks, themed looks and collaboration looks. I’d highly recommend taking a look if you want some make-up inspiration and ideas for combinations! @shinebridabeauty used different products to re-create each of the looks, which shows that you don’t need exactly the same products to try out the looks on the site. She also came up with a sixth look, Coconut Chocolate, which I think looks super pretty! Brida has very kindly shared the palettes and shades she used to re-create each of the Chocolate looks. Click ‘Read More’ below to get the palette and shade breakdowns for each look. Have you re-created or taken inspiration from any of the looks on the site? Or have you created a look which you would love to share with others? I’d love to see or hear about your looks! If you’d like your looks to be featured on the site, please get in touch! You can contact me via the contact form, at sairareidlee@gmail.com or on Instagram at @makeupbysairalee . You can find reader looks here and also under the newly added ‘Reader Looks’ tab under ‘Eyeshadow Combo Ideas’ on the menu bar.